Nuggets Lighthouse at dusk. Nugget point, Catlins. 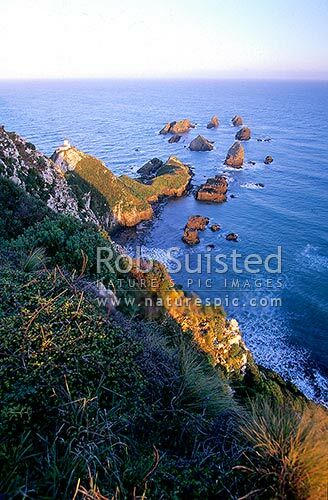 South Otago, Catlins, Clutha District, Otago Region, New Zealand (NZ), stock photo.